A Columbia University Humanities professor argues that liberals and progressives have become so preoccupied with individual identities that they have failed to formulate and express any vision for what ought to bind the nation together. Lilla in his new book issues an important, passionate and highly critical wake-up call to liberals who, he believes, are stuck in the mud. In its early stages, his argument is illuminating but then veers seriously off course before ending up focusing on the right goal ... What Lilla isn’t seeing is that we come to electoral politics in many different ways. Some people come to it through a desire for public service, bypassing social movements altogether. Others join social movements, get stuck in identity silos and ignore elections. This book is for them. But many others — like myself — were drawn to politics by participating in social movements ... Lilla’s message to liberals is timely and welcome. But he might better advise them: Go on your march. Join the marches of other groups, too. And continue to protest, above all. Then come home and organize that fundraiser for your favorite candidate for governor, the state legislature or Congress. [Lilla] says his aim is to unify today’s fractured liberals around an agenda 'emphasizing what we all share and owe one another as citizens, not what differentiates us.' Unfortunately, he does this in a way guaranteed to alienate vast swaths of his audience, and to deepen left-of-center divisions. Rather than engage in good faith with movements like Black Lives Matter, Lilla chooses to mock them, reserving a particularly meanspirited sneer for today’s campus left ... All too often Lilla opts for attitude over substance. 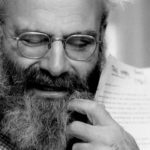 Though he calls for liberals to adopt 'a coldly realistic view of how we live now,' he spends much of his book jeering from afar at millennial 'social justice warriors,' whose 'resentful, disuniting rhetoric' supposedly destroyed a once-great liberal tradition ... Lilla’s labels can be slippery; he often conflates liberals, leftists and Democrats. By contrast he takes a rather narrow view of 'identity politics' as something practiced mainly by left-wing movements and not, say, by the Republican Party ... The Once and Future Liberal is a missed opportunity of the highest order, trolling disguised as erudition. Mr. Lilla’s analysis seems to me quite untrue. Even granting its premise, though, his book fails to address certain basic questions. Are we really supposed to believe today’s culture of narcissism has its roots in the Reagan revolution rather than in the counterculture of the 1960s? If Reaganism really made no room for national solidarity, why are those parts of the country most sympathetic to Reaganism, namely the Deep South and South Atlantic states, also the most patriotic—as evidenced by, say, the number of military enlistments? ... The larger problem with Mr. Lilla’s analysis is that he thinks politics drives culture. The truth is the reverse ... To renounce identity politics would require liberals to loosen their hold on our cultural institutions, especially the universities. Somehow I think they’ll keep dancing with the one that brung ’em. 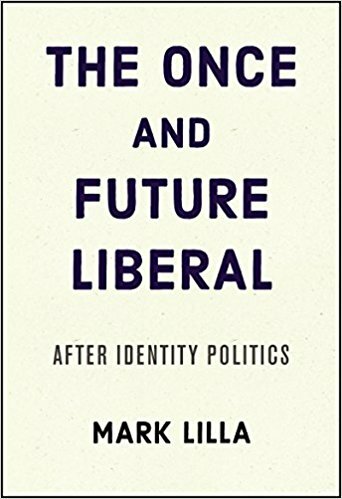 What did you think of The Once and Future Liberal: After Identity Politics?